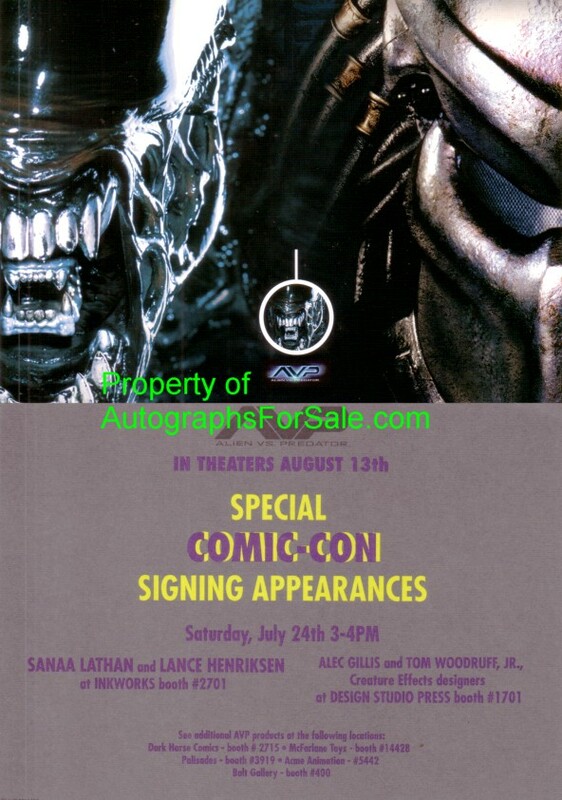 4x6 inch card distributed exclusively at 2004 Comic-Con in San Diego to promote the sci-fi movie AVP: Alien vs. Predator. NrMt or better.